If you could sum up Influential Magic in three words, what would they be? 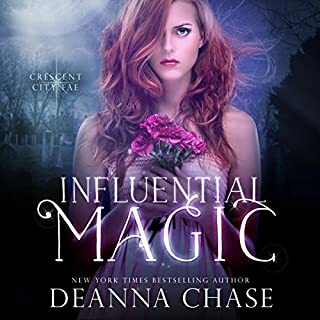 I'm a fan of Deanna Chase's Jade Calhoun series, so I was anxious for her new series to come out. Fae, vampires, witches and a shih tzu that phases into a wolf . . . what more could you want? Throw in murder plots, double agents, twists and turns, a love triangle, and magically enhanced cupcakes and you've got yourself quite the ride. This isn't a paranormal romance though. The love triangle is in the background, which is exactly where it should be for this action-packed adventure. I could totally see this as a tv series, and I can't wait for the second book!